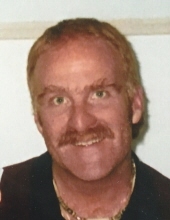 Beverly - Kevin L. Weafer, age 55, left this world after a sudden illness on November 22, 2018. “Weaf” was the red-headed, blue eyed son of Janet (Farley) and Kenneth Weafer. Kevin was the very proud father of Cory Brandon Weafer of Westborough. He was the brother to Sue Michel and her husband, Bob, and Loren LeBlanc and her husband, Jim. A very special uncle to Timothy, Riley Matthew, and a wonderful friend to many. He will be missed dearly by his uncle, aunts and many beloved cousins. Kevin attended Beverly High School, class of 1981 and continued his education at Northeastern University where he studied criminal justice, graduating in 1986. Upon graduation, Kevin went through the Police Academy and eventually began a career with the Beverly Police Department, where he was an officer for over twenty five years until the time of his retirement. Kev’s real passion was the outdoors, especially fishing. Whether he was at Chebacco Lake or on Lake Winnipesaukee, it didn’t matter, as long as it was a quiet, peaceful place and he had a fishing pole in his hand. Something that closely matched his love for fishing was his passion for cooking and eating good food. Kev was an amazing cook, and was a master of inventing new dishes. He was known to “ditch” the recipes and add his own unique twist to everyone’s favorite meals. He was a lover of many foods, especially anything that came from the sea. Among his favorites were anchovies, Slim Jims, breakfast foods and his mother’s Italian birthday feasts. Kev also had a real love for music. Among his favorites were Bob Seger, J. Geils, the Eagles and Collective Soul. He was also passionate about baseball, closely following the Red Sox and their World Series victory as well as local amateur teams. If not watching baseball, you could find Kev watching a Clint Eastwood movie, his favorite being High Plains Drifter. He was very knowledgeable about politics and loved a good debate. His funeral Mass will be celebrated at St. Mary Star of the Sea Church, 253 Cabot Street, Beverly, Thursday, November 29, 2018 at 10:30 a.m. Relatives and friends are invited to attend. Visiting hours at the Campbell Funeral Home, 525 Cabot Street, Beverly, Wednesday are from 4:30 p.m. to 6:30 p.m. In lieu of flowers, expressions of sympathy may be made in his memory to the Northeast Animal Shelter, 347 Highland Ave., Salem, MA 01970. And lastly, take a friend on a long walk, regardless of the weather and look for cardinals. They were his favorite. Information, directions, condolences at www.campbellfuneral.com . To send flowers or a remembrance gift to the family of Kevin L. Weafer, please visit our Tribute Store. "Email Address" would like to share the life celebration of Kevin L. Weafer. Click on the "link" to go to share a favorite memory or leave a condolence message for the family.